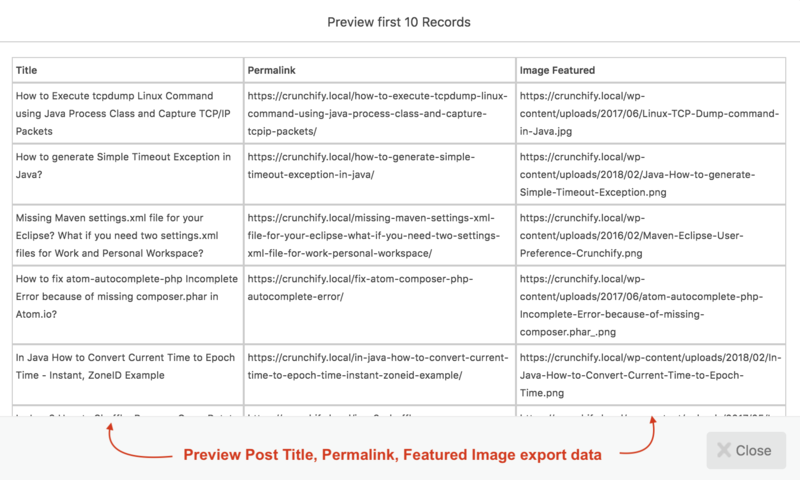 Have you ever wondered how to export WordPress Post, URL and Featured Image in CSV (Comma Separated Value) file? 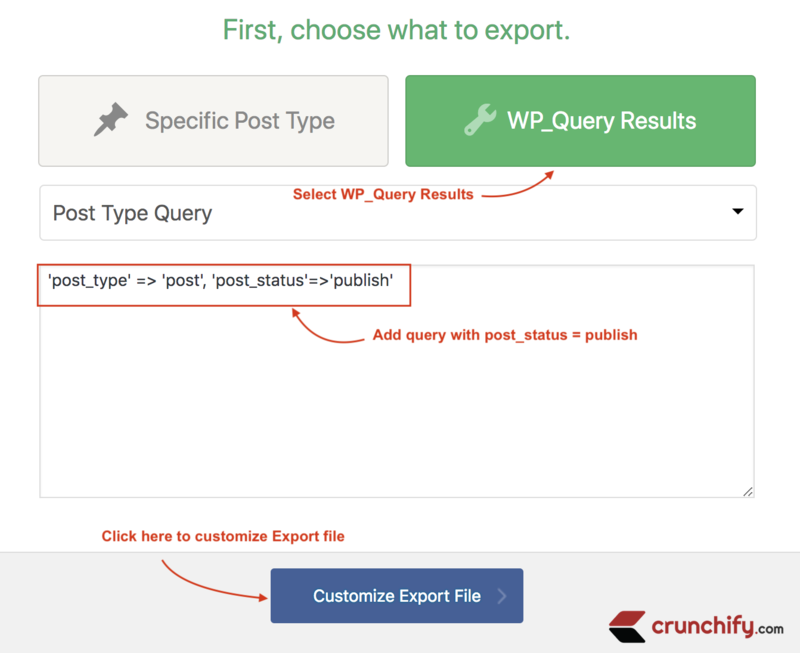 Before we get started, WordPress by default provides simple Import / Export tool. 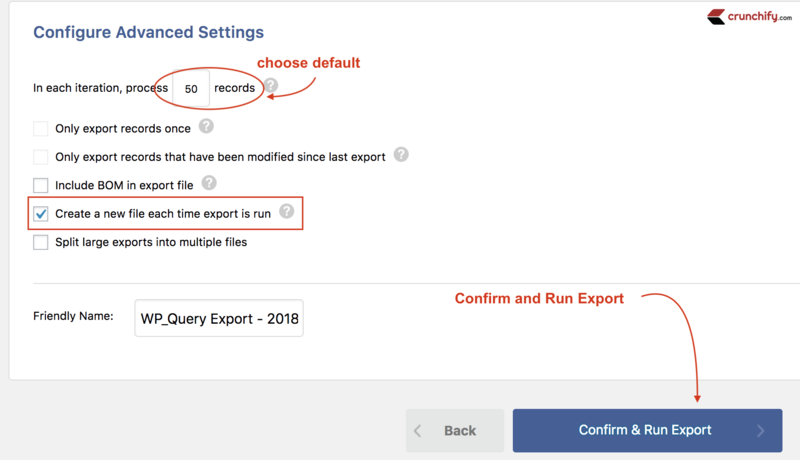 Just go to Tools -> Export to export all of your posts, pages, comments. In this tutorial we will go over simple steps to get started and export all WordPress posts into CSV format. There is a simple plugin Export WordPress data to XML/CSV which I’ve been using since long time to export posts. Just install and activate WordPress plugin. 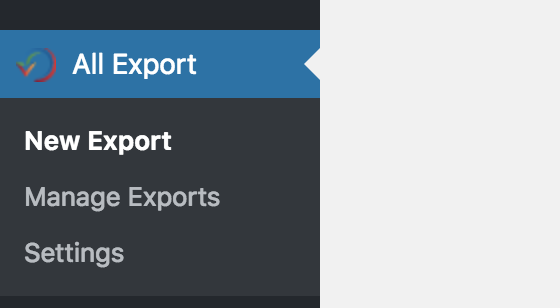 Go to All Export -> New Export from left side panel. First thing you will see is to choose WP_Query Result tab. Choose Post Type Query from dropdown. Here is an updated query: 'post_type' => 'post', 'post_status'=>'publish'. Click on Customize Export File button. Next you have to choose what you want to export from list to options. Click on Preview button to see the result. By default all 3 fields will be separated by Comma (,). Here is a preview in my case. Next you need to export these data to CSV file. I hope you find this tutorial useful if you want to export WordPress data to CSV file.